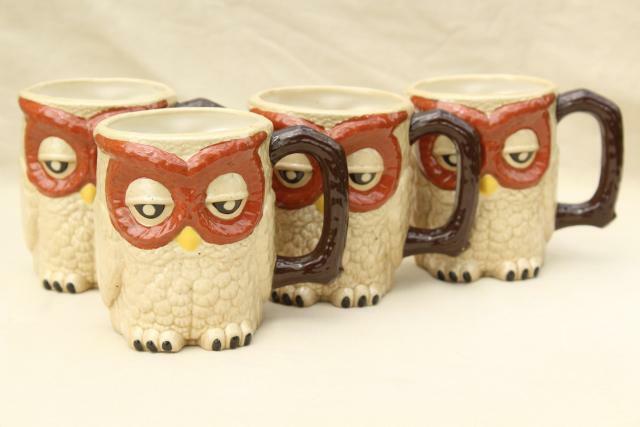 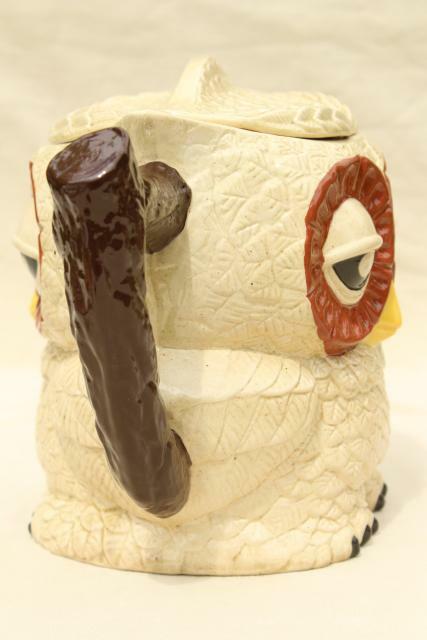 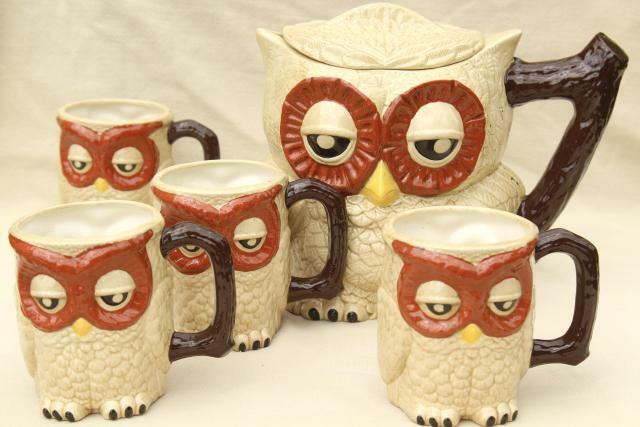 1970s vintage painted ceramic owls, pitcher and four mugs. 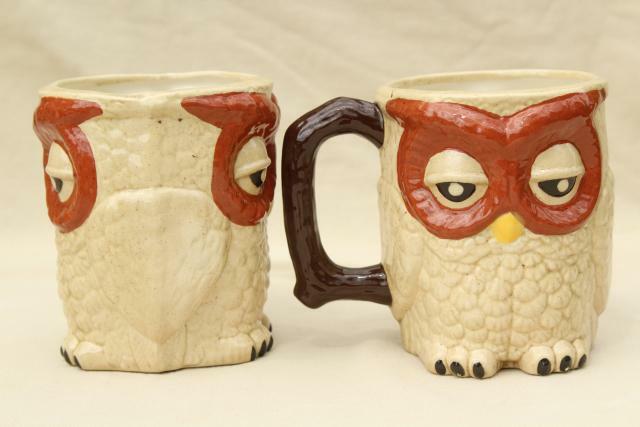 These are handmade, so cute, so retro! 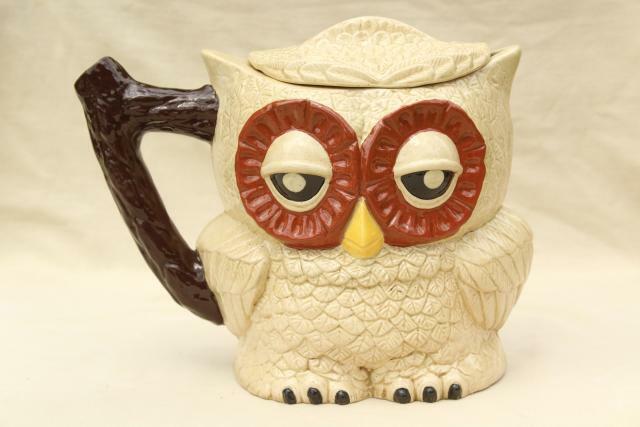 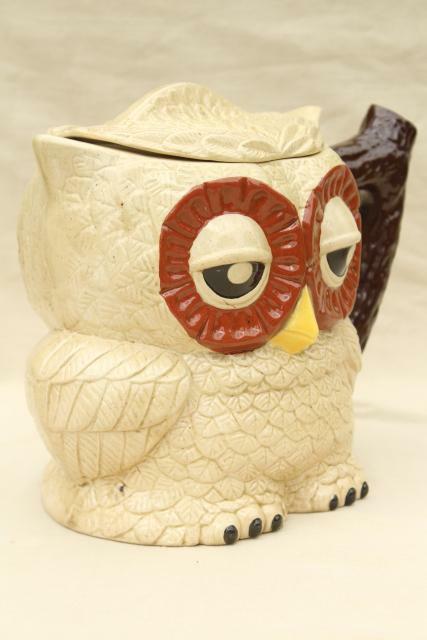 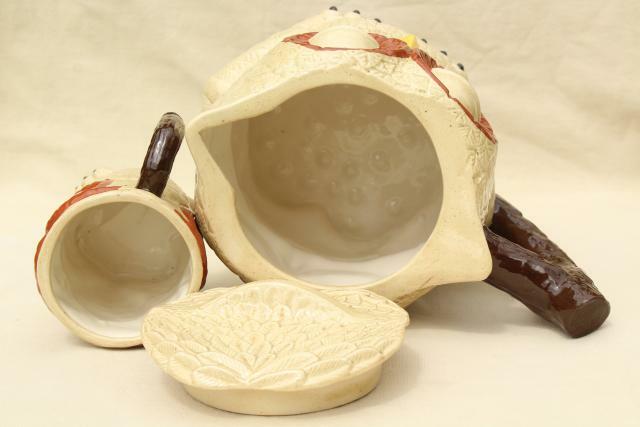 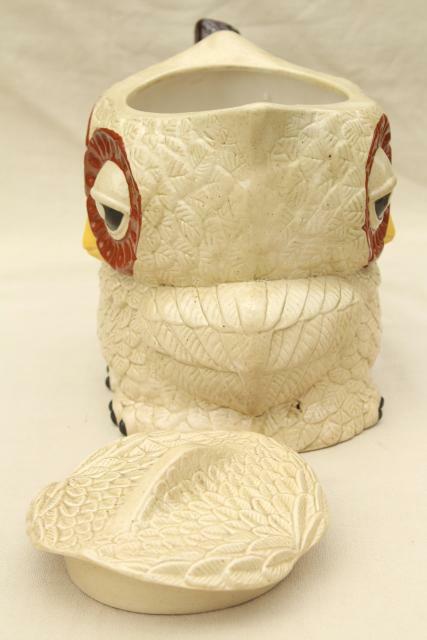 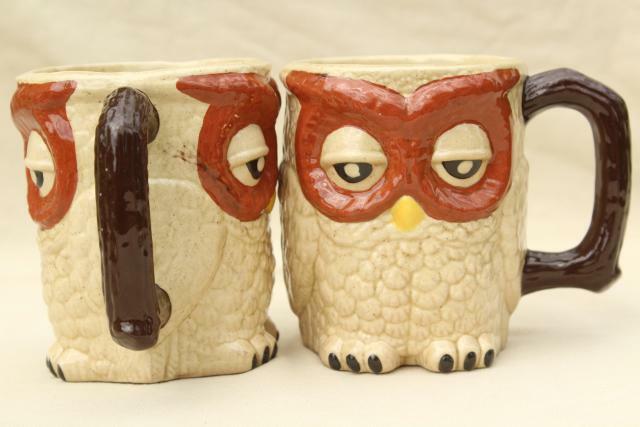 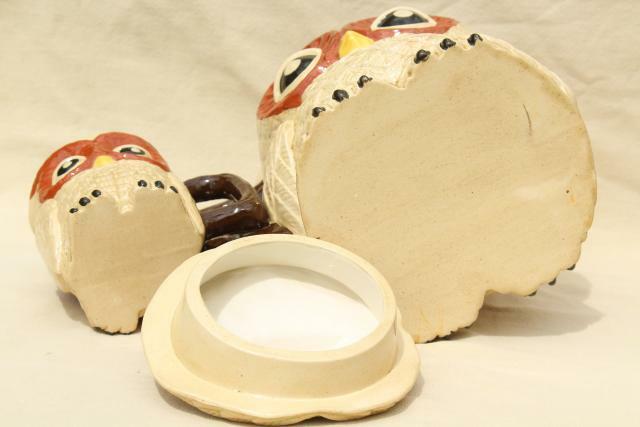 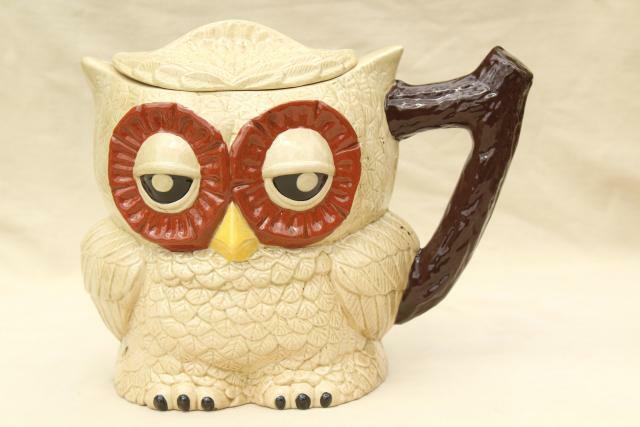 The four little owls measure about 3 3/4" tall, and the whole set - owl cups and owl pitcher with lid - is all in very good clean condition, just a few little fleabite glaze chips.